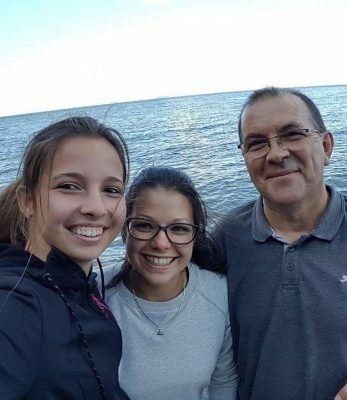 Pic no1 – Gerda, Dorina and Gábor (their teacher) in DK. This week we bring you stories about Hungarian EUROPEA students. Dorina, Gerda and Vivien are three very special young ladies. They are senior students of the Agricultural Course (EQF:5) at the Green VET Centre FM KASZK Vácimező. Dorina is a cheerful girl with a tiny figure and a big heart. She comes from Veresegyház and she is devoted to Hungarian traditions. She is a folk dancer and a member of the local association of 1848-ers. She regularly puts on the uniforms of those brave soldiers, wears their arms and takes part in events that celebrate the Hungarian Revolution. Gerda has a very independent personality and a “Hollywood smile” (as she likes to put it). She speaks English and German since she attended a bilingual (German/Hungarian) elementary school coming from a region with a German minority. Her grandparents are farmers and she is fond of the land and big agricultural machines (!). Pic no2 – Vivi and her little sister. Vivien exceeds her peers with her high motivation and extreme diligence. She is a hard-working student and she also does a lot of community work. She has won several local and regional awards. 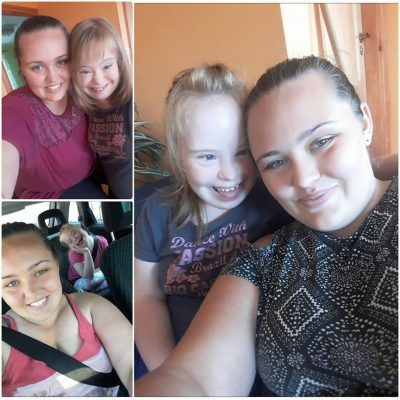 Besides, she takes care of her younger sister – a Down-syndrome girl. They are inseparable. And what do Dorina, Gerda and Vivien have in common? Well, apart from being classmates and attending the same course at Vácimező, the girls did an unforgettable ERAMSUS+ internship together last summer. They participated in a pilot project of two EUROPEA partner schools: Green Academy, Aarhus (DK) and FM KASZK (HU). The girls spent three weeks in Denmark learning about agricultural machinery (!!). They drove tractors, did welding, handled machines and performed all those “not-so-girly” things together. But they agree that they enjoyed every minute of their stay! “They say that you have to leave your comfort zone to really learn something new. We just did that, and it was great!” – Vivien says. “We had such a good time and we were so happy there. When I got home my boyfriend waited for me at the airport. He told me that I had changed and looked more beautiful than ever!” – Dorina admits. “It was strange to come back and do the usual things again. I would definitely like to go back.” – says Gerda with that broad smile of hers.